Your choice of $15.00 worth of product at Sunny in Second's TpT Store. And your choice of product from Fun 2B in First's TpT Store! And last, but not least, a product of choice at Wise Owl Factory's TpT Store. This is over $50 worth of quality products of your choosing! If you have already done all of these things, I consider you a MEGA MONKEY BUSINESS FAN and I thank you with all of my heart! I want to know if there is anyone out there that fits that category, so let me know in your comment entry. Is it you? To enter, tell me which one of the above things you did today (or tell me you are a MEGA MONKEY BUSINESS FAN if you indeed are) and leave your email address because I will have to contact the winner. The contest ends at midnight E.T. on August 24th. I will be drawing a winner on August 25th! Feel free to start your "wish lists" now--someone has to win! Good luck to all of my awesome followers. I teach kindergarten and I signed up today to follow you! Great ideas! I love Pinterest too! I was already following your blog and Facebook, but now I'm following you on TPT too! I love and use many of your wonderful creations! I have already signed up for your newsletter and "liked" you on facebook. Now I am following your tpt store. Thanks! 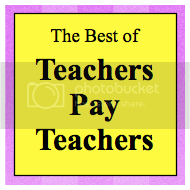 I was a follower of yours already on facebook and the blog but started on the TpT store. I was a follower of FB, the blog, and newsletter.Now I am following Pinterest. I just signed up to receive your newsletters. Thanks for all you do! I already follow you on facebook and your blog, I am now signed up for your newsletter. I need to check out Pinterest. I keep hearing so much about it. I have done it all! I am following you on all but Pinterest - have set up my account but it isn't cooperating to let me follow you yet - buit I will be a Mega Monkey Maniac ASAP! Thanks for all the great ideas you share! I'm a Mega Monkey Business Fan! Wahoo!!! Thanks for all of you beautiful hard work!! I'm a Mega Monkey Business Fan. You have great ideas. Thanks for all your hard work! I too am a mega Monkey business fan -- so had already done all of the above and also purchased several things from you TPT store. I'm following you in facebook and email. I was already following you on TPT, and pinterest and signed up for your newsletter. I've now started following you on facebook. I already follow your blog, follow you on Facebook and receive your emails. I'm trying to stay away from Pinterest cuz there just aren't enough hours in the day! :o) So does that make me a Mega Monkey Fan??? :o) Sure would like to win! Thank you for the wonderful ideas! I am following you on everything except TpT. I just got signed up for your newsletter! Thanks for all the great ideas! Love your stuff! I am a Mega Monkey Fan. I love your helpful tips and ideas. Thanks so much for all that you share. I can now proudly say that I am a Mega Monkey Business Fan! I'm already a follower of your blog. I now follow your TPT store. I couldn't get the link to your FB page to work. Great stuff! I am a new follower! 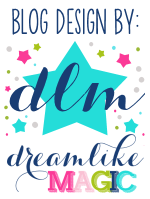 I love your blog....so many fabulous ideas!! 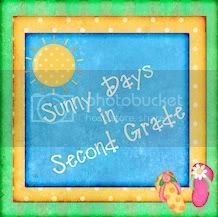 I am new to blogging, but I am happily following your blog.